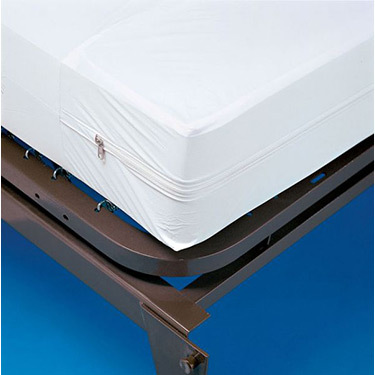 Made of non-allergenic waterproof vinyl, these high quality mattress covers from Invacare are designed to keep mattresses clean and fresh and to protect them from stains, odors, dust and incontinence. There is a 30 day warranty. The cover is available in a hospital bed size, measuring 36 inches wide, 80 inches long and 6 inches deep.